Axiom’s principal, Lee Harrison, provided structural engineering services for the master planning, schematic design, and design development for this $18M facility. This 2-story project consisted of approximately 80,000 sq ft with unique architectural features including a 90 ft clear span strength and conditions facility with roll-up exterior doors to exterior workout spaces. 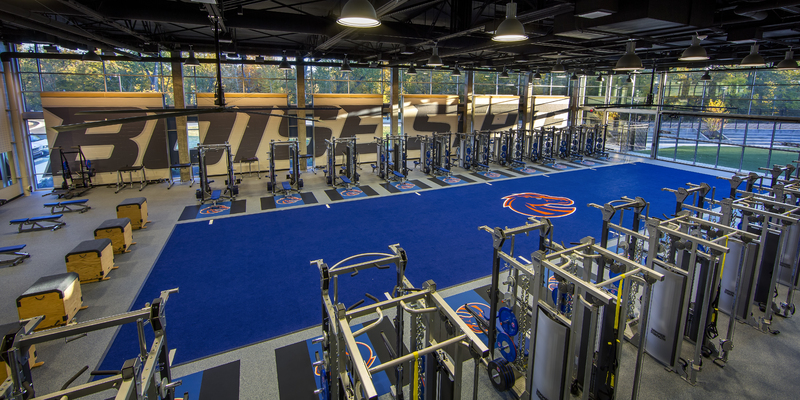 The main lobby and recruitment lounge feature high volume spaces with clear views of the Boise State Bronco football field from cantilevered floor elements. Unique challenges to this project were the very specialized spaces including state of the art therapy pools, strength and conditioning facilities, and auditorium type meetings spaces.